Started out in IWRG and was immediately given the sponsor-inspired gimmick of Bogeman. Naturally this led to a large but unsuccessful push. He was eventually replaced under the mask by Fantastik. Eventually found his way to CMLL where he mainly works opening matches to gain experience. 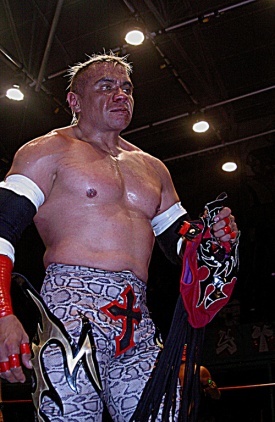 Highlight of his career thus far was a first round loss in the Gran Alternativa 2009 teaming with Atlantis. This page was last edited on 16 March 2019, at 15:07.